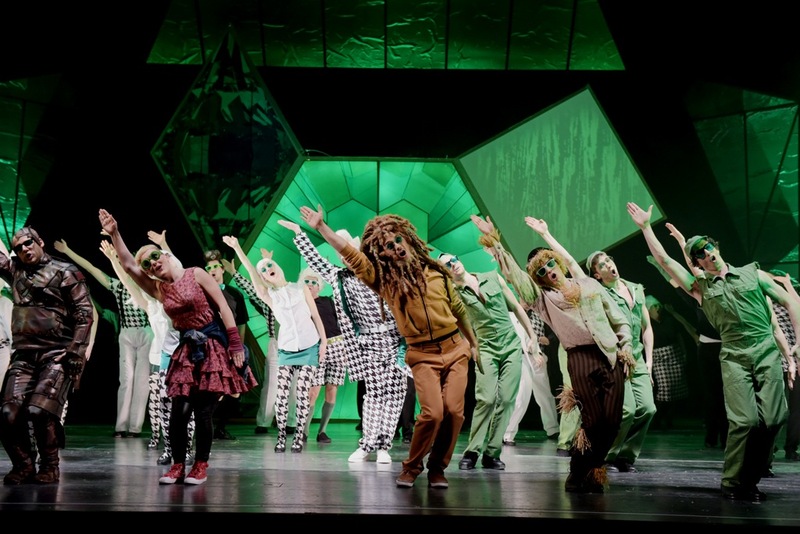 „The most magical adventure of them all …“ That’s how Andrew Lloyd Webber announced ‘his’ Wizard of Oz version at the London Palladium in 2011, a new cast album included. But the version most commonly performed today – apart for the 1939 movie – is a 1980s Royal Shakespeare Company stage adaptation. Which is also the one used at the opera house in Magdeburg. Considering that there are recordings of the original RSC cast (1989) featuring a cross-dressed Wicked Witch of the West, and a New York Concert CD (1996) with Debra Winger as the witch and Nathan Lane as the Cowardly Lion, not to mention a Madison Square Garden cast (1998) with Eartha Kitt as the witch and Mickey Rooney as the wizard, you might ask: why bother with Magdeburg? Well, for one thing, the theater has what most German opera houses have but what most commercial venues in the UK and USA lack: a full symphonic orchestra, a full chorus, a children’s chorus, and a ballet group, plus a house ensemble and guest soloists. You’re unlikely to hear a more opulent Wizard of Oz anywhere, at least not live. Considering these basic facts, this Der Zauberer von Oz could have been a marvelous affair. 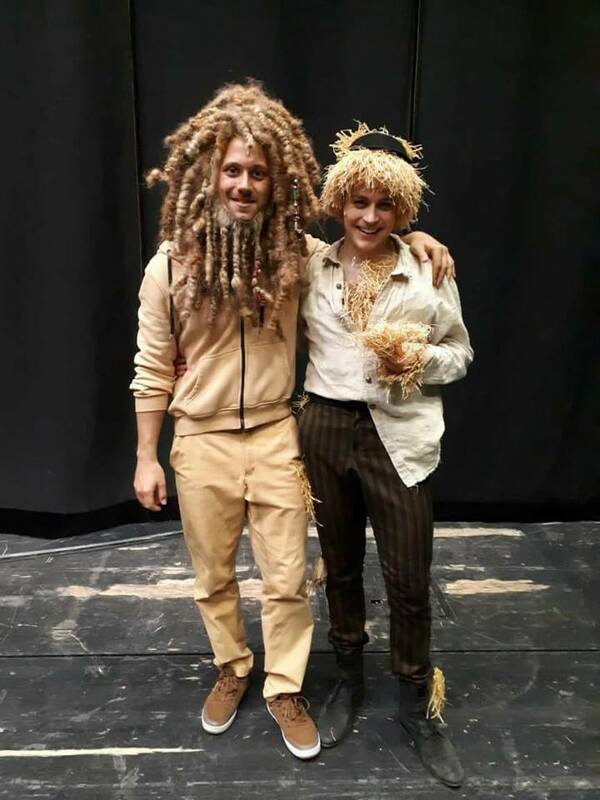 Also, it has two of my favorite young singers in it: Christian Miebach as the Scarecrow and Jan Rekeszus as the Lion. Reason enough to go see the last performance of the production and witness the exceptional talent in the magical land of Saxony-Anhalt, near the Elbe River. 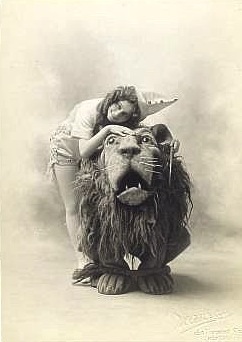 Arthur Hill as the Lion and Anna Laughlin as Dorothy in the 1903 version of “The Wizard of Oz” on Broadway. 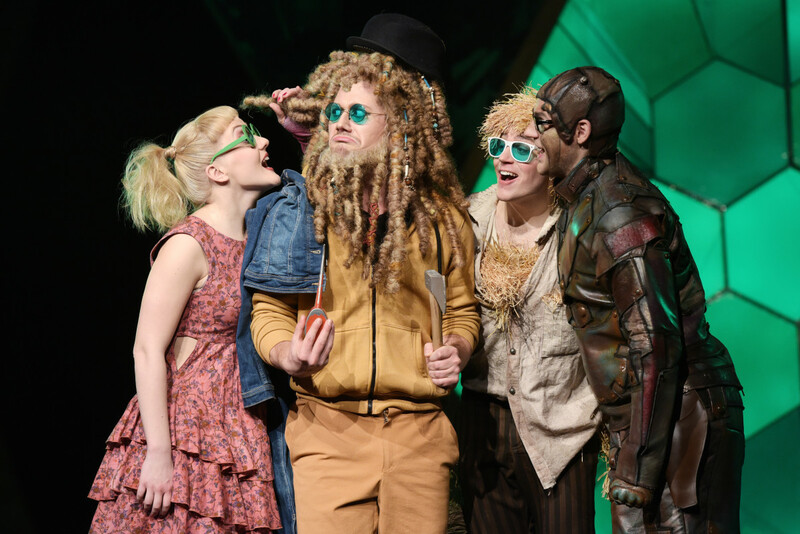 It requires maximum imagination and stage craft to bring the various wonders of Oz to life in a theater – and with a provincial opera house budget. There is no one-rule-fits-all-solution. 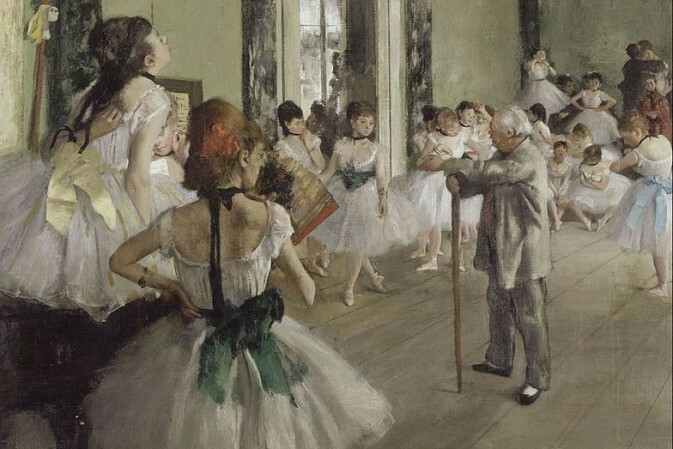 Considering that there is a full ballet group, you might have assumed that the staging would have emphasized the dancing and used it as a way of creating magic (choreography: Kerstin Ried). But apart from the rousing re-instated “Jitterbug” (cut from the movie) there were hardly any big dance sequences. The snowflakes and poppy blossom scene is hardly worth mentioning. And the flying monkeys (count them: two) didn’t fly anywhere other than up, and out. I’m not quite sure what stage director Thomas Schmidt-Ehrenberg was thinking of, but he lost me along the way on that yellow brick path, which is a yellow metal bridge here. So my mind started to wander. 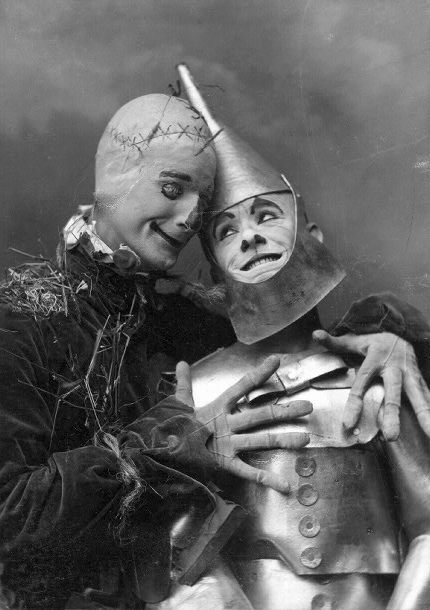 Famous comedy duo Fred Stone as the Scarecrow and David C. Montgomery as the Tin Man in “The Wizard of Oz,” 1902. The stars I came to see were impressive, as always, and displayed suave stage presences. But directed and costumed as they were here, they didn’t come across as exceptional characters. Mr. Miebach was highly agile as the Scarecrow and danced fabulously, but he was a touch too ‘normal’ (vocally) for this fantasy figure. And the Lion – basically a cool young dude with big hair – never got to do anything a lion should do to make a profound impact. Peter Wittig as the Wicked Witch was basically the only one who tried to deliver a real character performance, totally over the top (yeah!) but without any signs of green and without a broomstick. But hey, that’s not his fault. 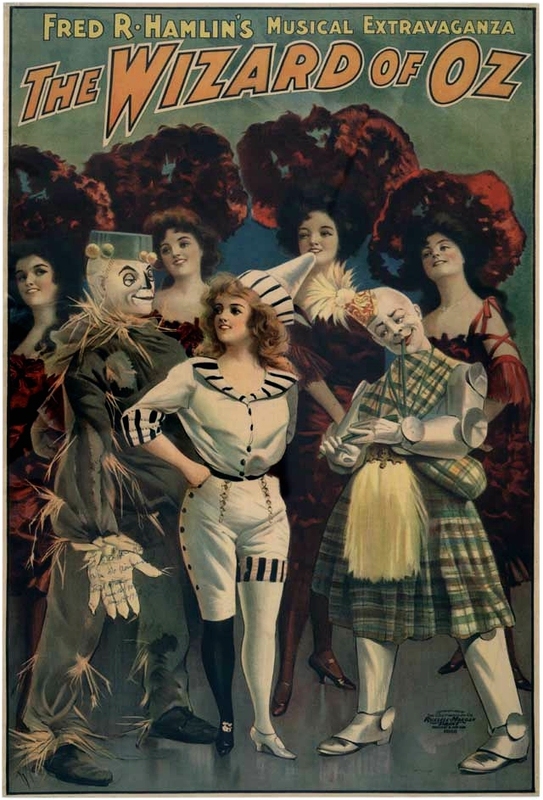 One of many promotional posters for the original “musical extravaganza” on Broadway, including a Tin Man (in a Scottish kilt and minus his funnel hat). Obviously, operetta could use such titillating performers, too. 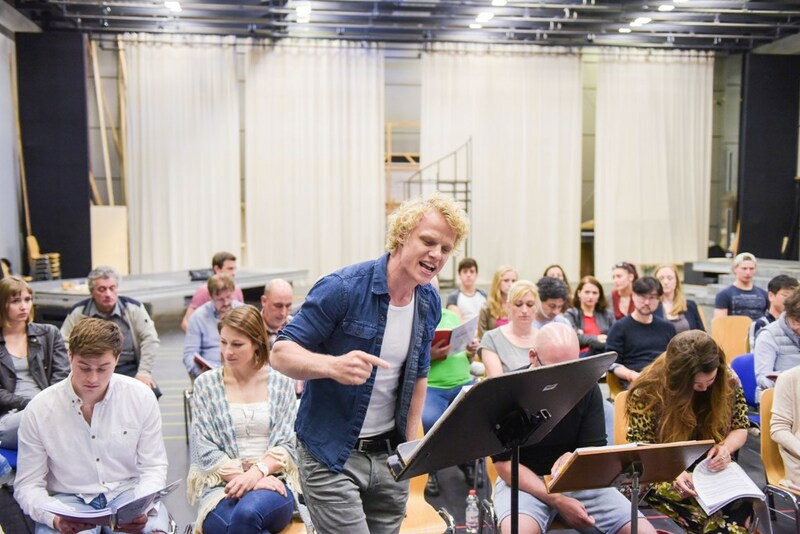 Mr. Rekeszus hasn’t sung any operetta since his “Glitter and be gay” solo at the Bundeswettbewerb Gesang, and Mr. Miebach’s 2018 appearance in Bettelstudent in Rüdersdorf was cancelled; he did sing Edwin in Csardasfürstin there last year. Dashing to the max! Poster for the December 2018 production of “Wizard of Oz” in Blackpool. Christian Miebach is in this rock opera, as is the lovely Julia Gamez-Martin as Mary Magdalene. And then there is Tobias Bieri as the son of god. 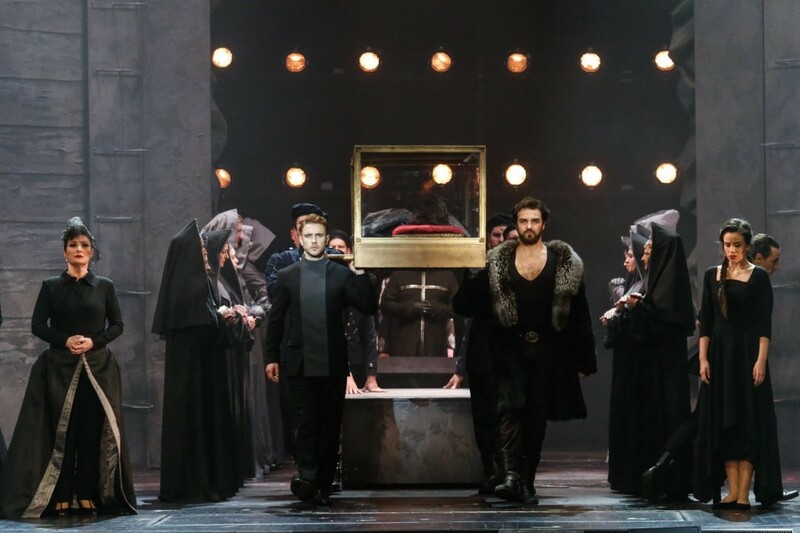 Should my mind start to wander during that performance too, in June, I can think of at least 100 operetta roles I’d like to see him in, and Miss Gamez-Martin too. No, make that 200. If I run out of titles, I can always consult Kurt Gänzl’s Encyclopedia of the Musical Theatre and pick some totally forgotten shows. To be fair, the Zauberer von Oz might not have been my personal cup of tea. But German audiences practically don’t know the movie, so the auditorium was filled with hoards of children and young adults who approached the performance with different expectations than me. 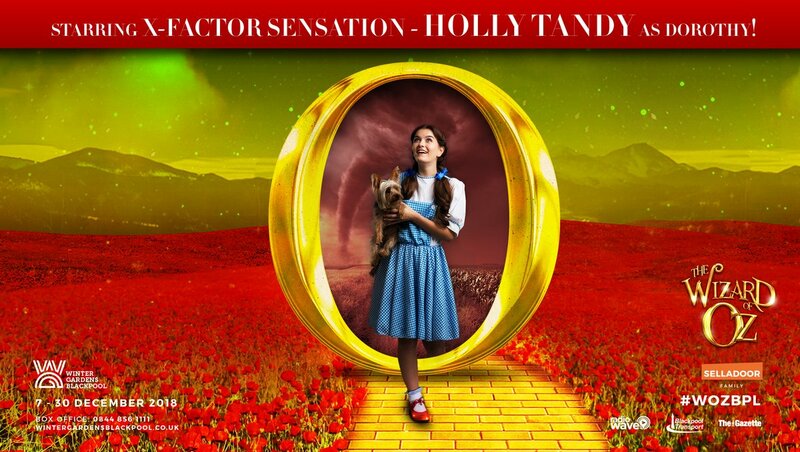 Judging from their enthusiastic cheering – of X-Factor dimension – they enjoyed the show. They certainly enjoyed the star(s). As did I. So all was well in the end. And I look forward to my next trip to Magdeburg where there is a Csardasfürstin and Nacht in Venedig in the repertoire as well, not with Bieri-Rekeszus-Miebach or Gamez-Martin/Inga Krischke … but who knows, that might change one day. 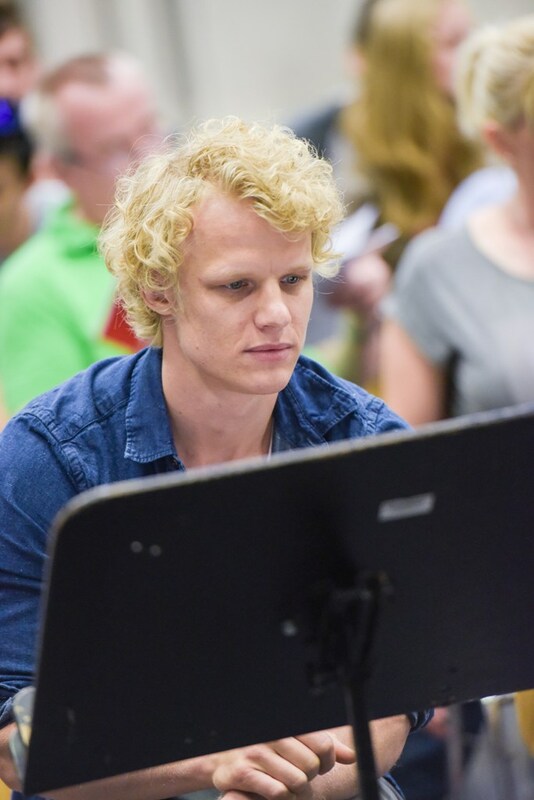 For more information on the upcoming Jesus Christ Superstar, click here.